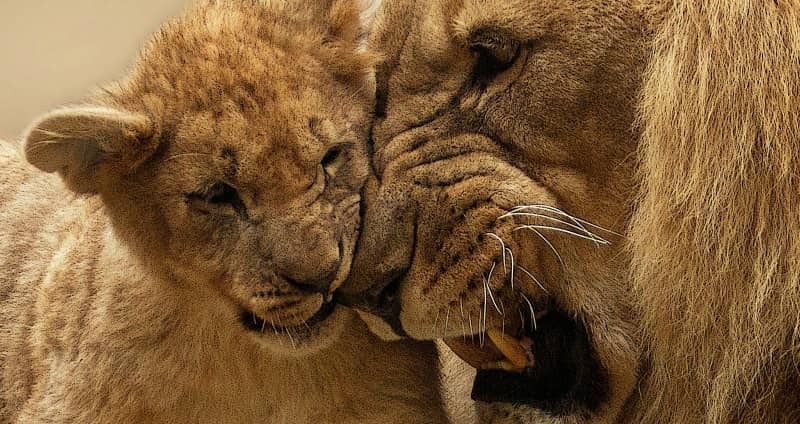 In this post we will be looking at facts about the lion cubs life cycle, how they are raised by their mothers in the wild, whether the fathers are involved in this process and how they are trained to be hunters themselves. We also unfortunately have too give you an important warning about where cubs fit in the lion hunting industry. 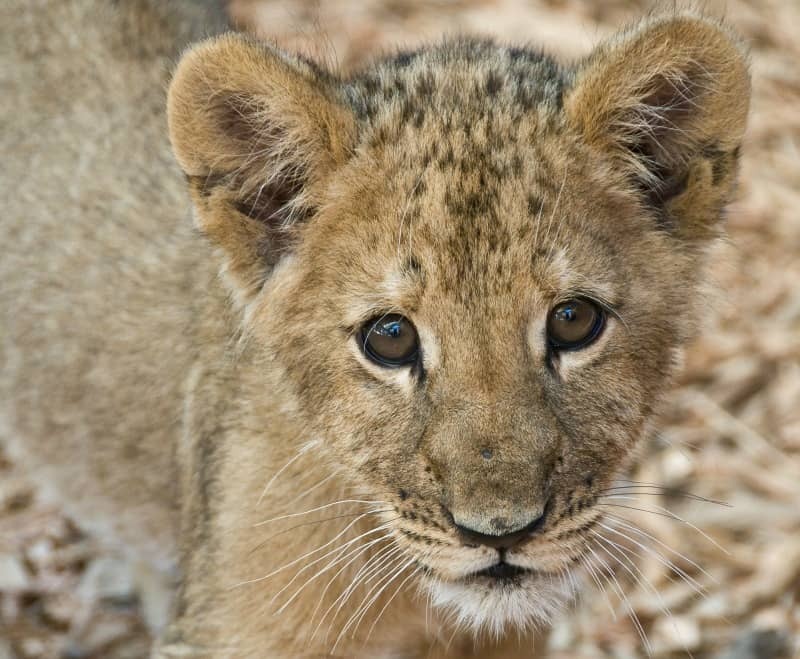 Lion cubs are born with tawny black spots which eventually disappears as they grow older. When it is time to give birth a lioness leaves her pride and has her lion cubs in dense cover. Cubs remain hidden for one to two months before being introduced to the rest of the pride. All the lactating females in a pride suckle cubs showing no favoritism for their own offspring. The reason for this is that each lioness is enhancing her own genes' success by helping to raise her sisters' offspring. Mothers give birth to up to 6 cubs at a time but litters of 2 or 3 are more common. The cubs start to eat meat at about three months and are weaned at about six months. Lionesses stay within the pride all their lives but male lions either leave of their own accord or are driven off by the pride males at two to three years of age. Do male lions help raising the cubs? African male lions generally play no paternal role when it comes to provisioning of food to the cubs. The responsibility for training them to hunt is also that of the mother. Male lions will however protect cubs from danger. When do the cubs start hunting by themselves? 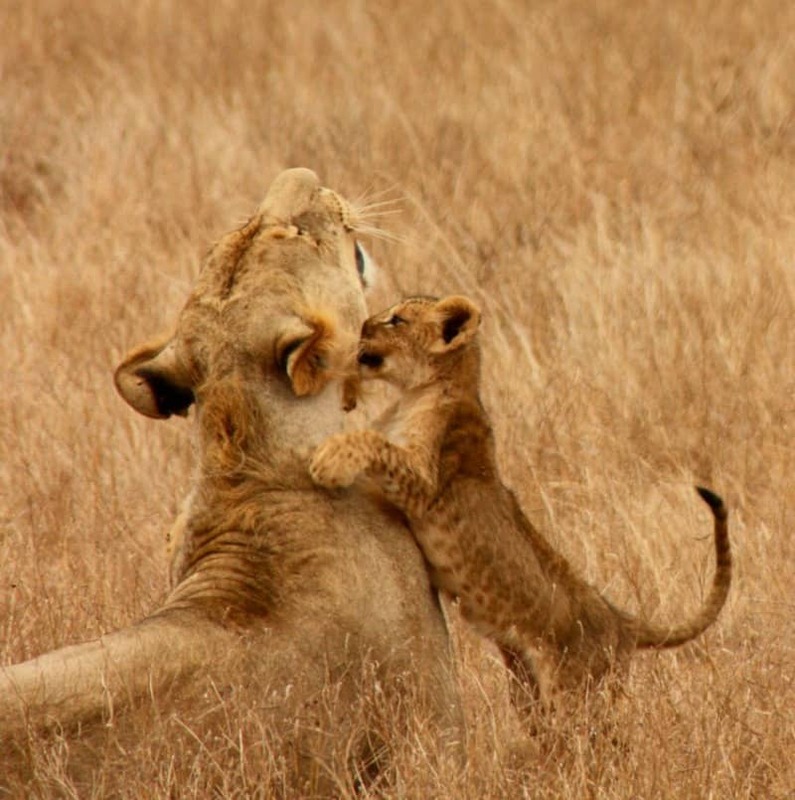 Cubs stay with their mothers for about two years, by which stage they have joined the pride's hunting trips. After one to two years of nomadic life these young males drive out the resident males of a pride and take over the females. 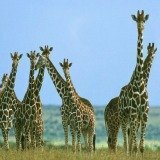 If a small group of males leave together they are able to hunt as a group and stand a better chance of being able to take over a pride. 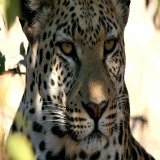 Females prefer their pride to have a large male coalition because it reduces the number of cubs lost to infanticide at take-overs. The displaced male lions seldom live long since they no longer have lionesses to hunt for them. Lionesses prefer their pride to be controlled by a large coalition of males whose strength in numbers will give them a longer tenure. Tourists to Africa think there is something very irresistible about playing with small lion cubs that a few years later will be feared predators. 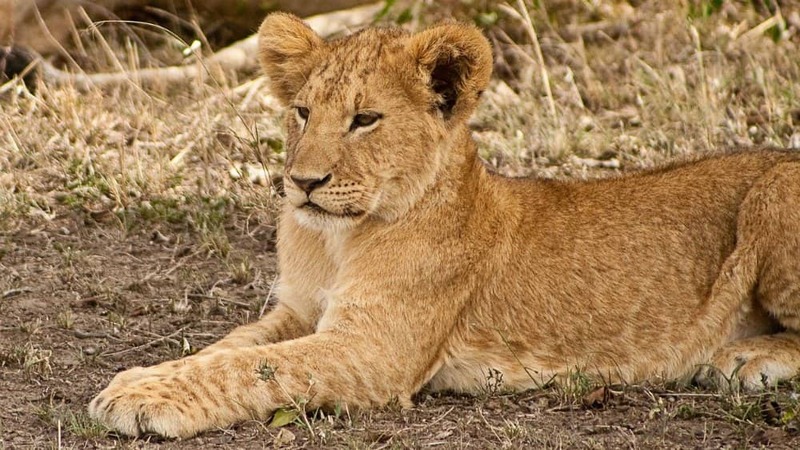 We must however send out a warning though that you should please note that several animal activist groups have found that the petting of cubs by tourists is directly related to canned lion hunting industry. 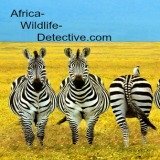 What that means is that that cute cub you are stroking when you happen to be on an African safari is most likely to meet its end from a hunter with a high powered rifle or bow and arrow. 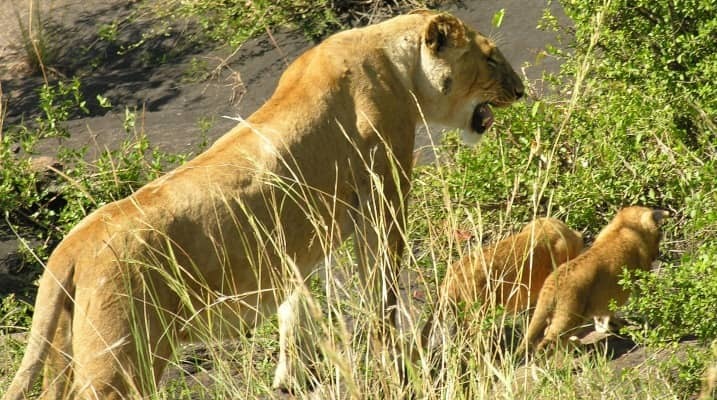 It has been found that some lion farmers rent out the cubs to tourist resorts and volunteerism organisations. 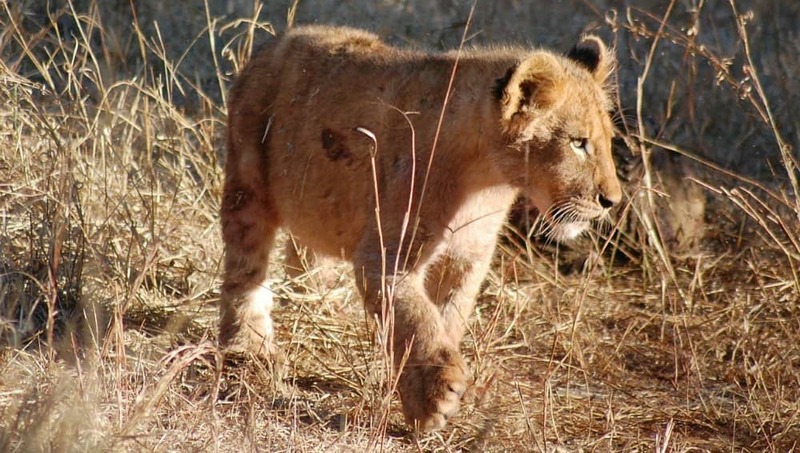 We understand the attraction of lion cub interaction for tourist but ask you to please do your homework about the organisations you plan to go to before you visit them. The fact is that as soon as these lion cubs are too big to be handled by tourists, they are returned back to the lion farm that supplied them, only to be killed later by wealthy hunters. Another lie that some of these organisations pedal is that these cubs are orphans. 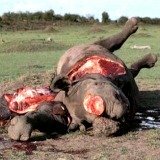 They will often spin you a story about their parents that were supposedly killed by poachers. Others will tell you that the cubs were supposedly rejected by their mothers. Most of the time the true facts indicate that the cubs were in fact removed from their mother at a very young age in order to be hand raised. When they are raised in such a way they get used to human interaction and can then be used to raise funds through tourist interaction. If you share our concerns about this practice in the lion industry please spread the news by liking this page and sharing it with your friends through social media.